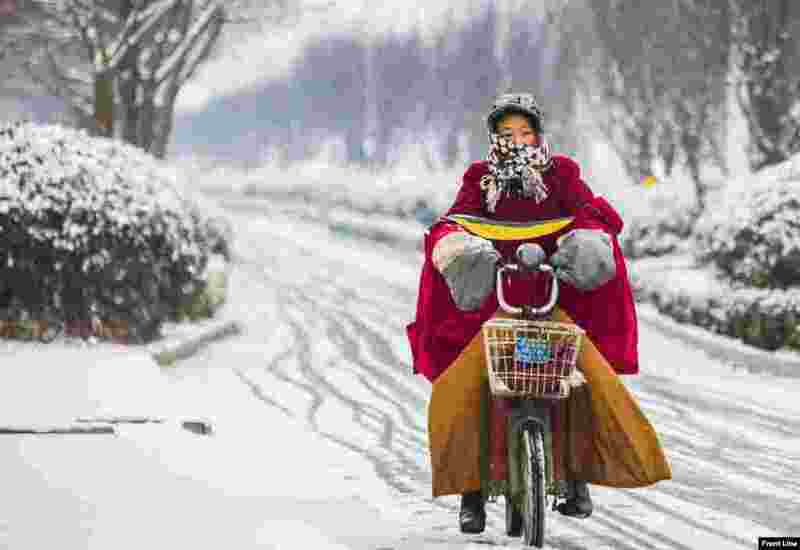 1 A woman rides her electric bicycle along a street during snowfall in Lianyungang, Jiangsu province, China. 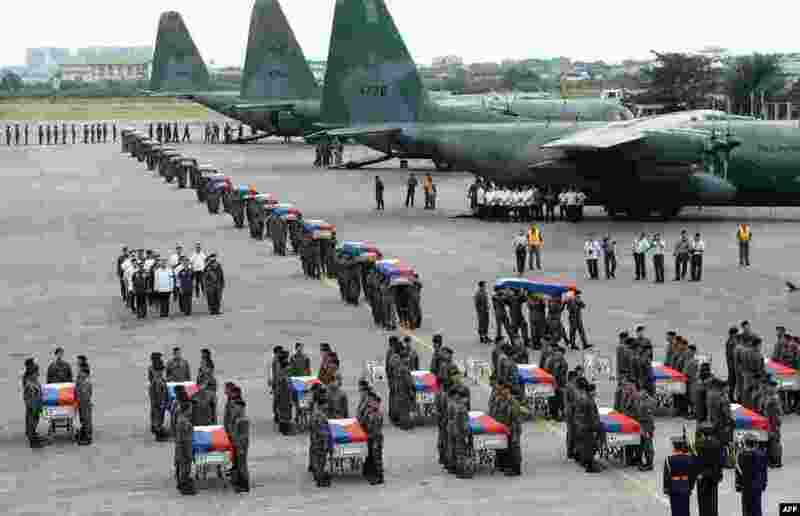 2 Philippine police commandos carry the flag-draped coffins of their fallen comrades from C-130 planes shortly after arriving at a military base in Manila as the country mourned dozens of policemen killed in a botched anti-terror operation. 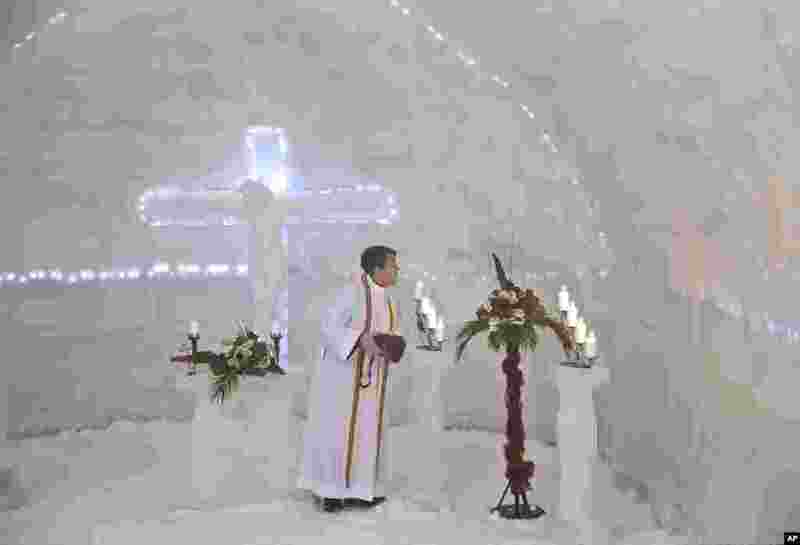 3 A Romanian priest puts out candles inside a church built entirely from ice blocks cut from a frozen lake after a blessing religious service at the Balea Lac resort in the Fagaras mountains. 4 Jiang Hui, left, and Dai Shuqin, relatives of passengers onboard the Malaysia Airlines Flight 370 that went missing on Mar. 8, 2014, react while watching a pre-recorded message broadcast on Malaysian television by Malaysia's Civil Aviation Authority, in Beijing, China. 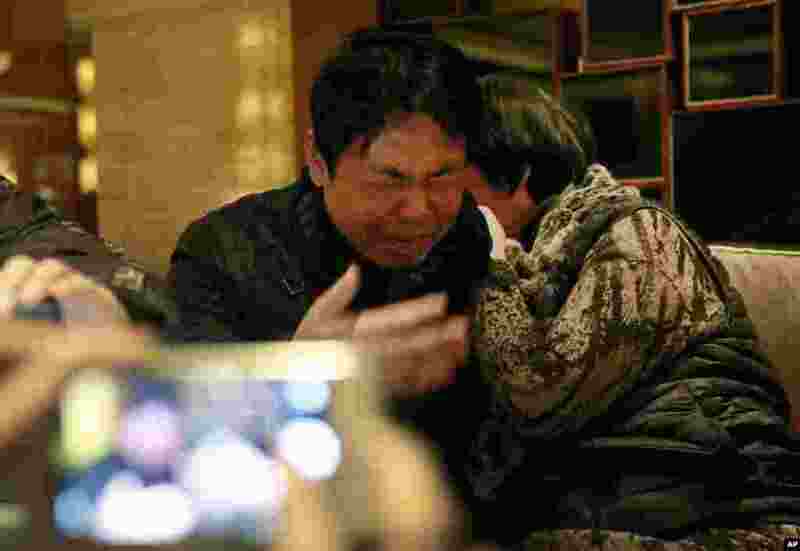 Malaysia's Civil Aviation Authority has officially declared the MH370 crash an accident, fulfilling a legal obligation that will allow efforts to proceed with compensation claims.